Whether you get ready to buy your first leaf blower or you want to upgrade from an old model, the market might surprise you with the wide plethora of products and features. Not everything that works for others may work for you, so figure what you need before you even start looking for blowers. If you ask a specialist for a few tips, most of them will recommend whole kits. Why? Simple. They have everything, so unexpected situations are less likely to arise. This is when you run into Makita DUB182 18V LXT. It is one of the best selling leaf blower kits in commerce. Its online reputation is amazing, while its capabilities and deep grade of customization make it stand up in the crowd. The speed is variable for optimal control, as well as maximum efficiency. Moreover, the design is compact and ergonomic, while the entire assembly weighs close to nothing. You will not even feel it. Having everything in one package makes this leaf blower great for both homeowners and small business owners. Once you open the carrying bag, you will be impressed by how simple the unit is. With 3.9 pounds in weight, it feels like a toy blower. It is not too large either, so it has an ergonomic design. The speed varies and may go up to 18,000RPM. It is up to you to choose the optimal level for efficiency. Finally, the three speed motor will come up with a maximum air velocity of 179MPH. Unlike other brands, Makita does not share motors from other brands and manufacturers, but builds its own. When run at the maximum speed (18,000RPM), Makita’s leaf blower might disappoint you with its running time. It can barely reach to 12 minutes with one charge. However, you are less likely to use the highest speeds, unless you got some stubborn, dry or wet leaves. Other than that, there is no point to exaggerate. Avoid using the blower on the grass too. It is less likely to be as efficient as it is on hard surfaces. In fact, its efficiency might drop with over 50%. This is a common issue in more leaf blowers. As a short final conclusion, Makita DUB182 18V LXT aims to make your cleaning procedure easier. It has a little something of everything. At this point, it combines the convenience and flexibility of cordless blowers with the superior power and profile of high speed motors. The product is available with or without the battery. However, you have to purchase it separately. Given the complete kit construction, you are less likely to need anything else from this blower. If this is your first blower, you will love the possibility to protect it against unexpected situations. The Star Protection Computer Controls prevent over discharging, heating and loading issues. 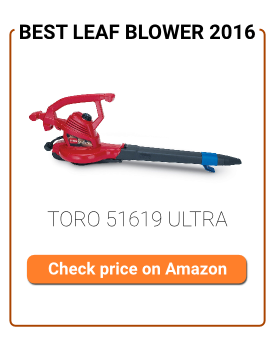 Also, as a first owner, it might feel challenging to determine what you truly need from a leaf blower, but a little attention can support your necessities without any flaws at all.